Make a spectacle of yourself! Lafont, a premier design house for colorful, handcrafted frames, and Clinique, a dermatologist-developed skin care brand, have collaborated to create four eye-popping looks that pair fashionable frames with pretty makeup. Divided into four key themes, the perfect partners are the essence of chic Parisian style. 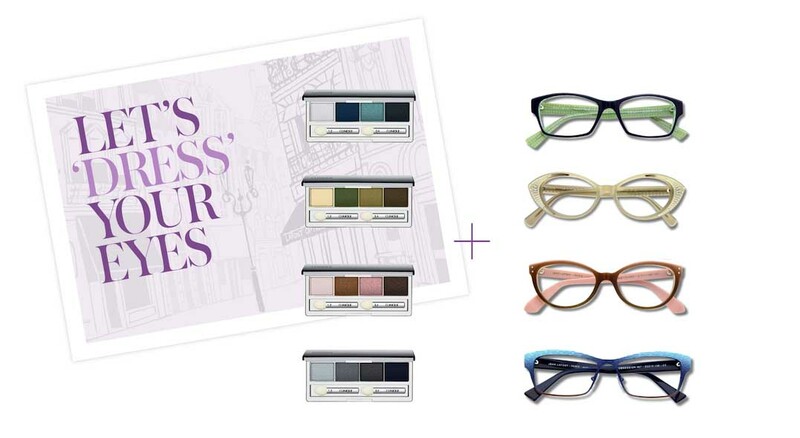 This tip sheet, pairing four distinctly different Lafont frames and four gorgeous Clinique eye palettes, can be found on both Lafont.com and Clinique.com. GALLERY HOPPING ON THE RIGHT BANK — Lafont’s “LIN” frame may look like a simple rectangle shape at first glance, but the surprise of a checkered pattern on the inside translates into something much more. When paired with Clinique’s “Smoke and Mirrors Shadow Quad,” the look is both subtle and distinctive. GIRLS’ NIGHT OUT — Get ready for the perfect Girls’ Night Out. “NEW” is an Art Deco masterpiece that sports a scrolling effect achieved by applying liquid metal during construction. Available in pretty pastels, “NEW” is a fresh take on a timeless style, and brightens your face with graphic gold accents. When paired with Clinique’s golden green eye shadow, you will be an evening star. SWEET INSPIRATION — Get a playful, vintage-inspired feminine look for every day with “OLETTA,” a charming update to the traditional cat-eye shape with a hint of pink at the brow, which brightens the face. Clinique’s “Pink Chocolate All About Shadow Quad” compliments the frame to a T.
STARRY NIGHT IN PARIS — The sultry combination of smoky eyes courtesy of Clinique’s “All About Shadow Quad” in Galaxy and “OBSESSION,” Lafont’s hand painted work of art in etched stainless steel, creates a look that will have you celebrating all night long.